RSGB President John Gould visits the club! The subject ‘Supporting Amateur Radio’. CEPT WRC ITU and WARC all discussed. 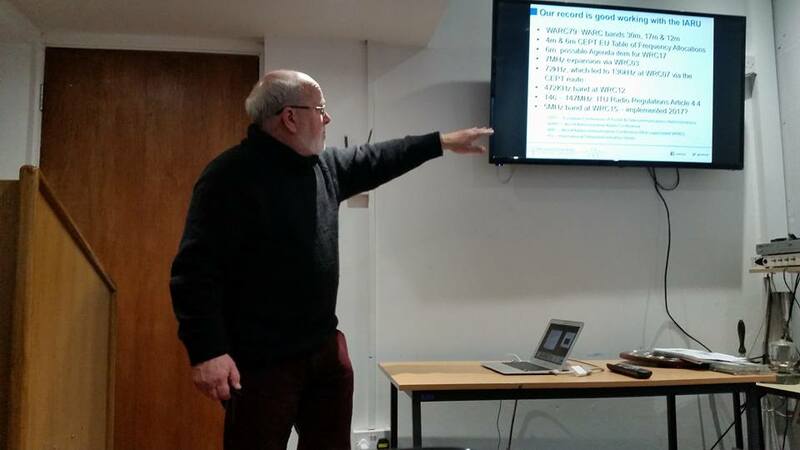 An excellent evening, with John explaining in some detail the role of the RSGB on a variety of different levels. 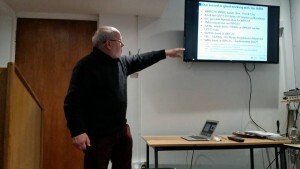 Some fascinating insights into what the society does for Amateur Radio on behalf of its members and how it protects our bands. John explained in detail about the new 5mhz band allocations and what the society is doing to expand access to this band with CEPT and the ITU. 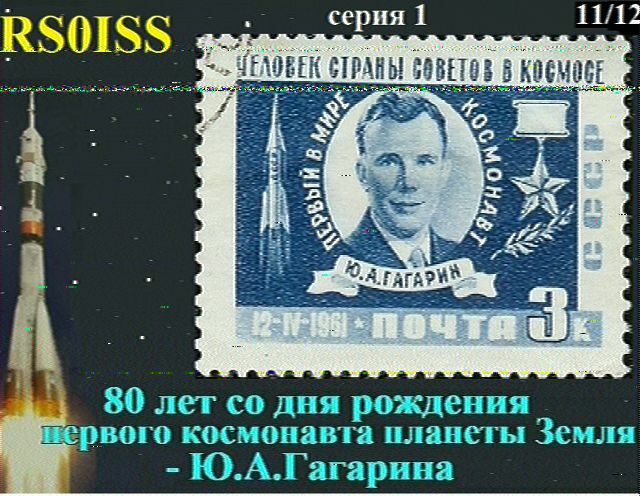 The intention of the event is to set up amateur radio special event stations at as many of the museums as possible throughout the whole of the world. I would hope for an HF, VHF, and if at all possible, a Ui-View (APRS) packet station to be set up at each museum site, but the scope of your station is entirely up to you. The choice of museum is also left very much up to you, however aim for the largest and/or most unusual site you can find. The museums taking part over the years have included ships, castles, air museums, Napoleonic forts, pumping stations, wireless museums, racing museums and many others. For the purposes of the event, the word ‘museum’ is loosely interpreted. There really is no shortage of venues in which such an event can be staged, no matter where in the world you might live. During the first IMW in 2002′ over 80 museums from all over the world took part. The museums varied from tiny local village museums manned by a single lone operator, to some of the worlds most prestigious ones. These were accompanied by a great number of military museum sites, such as HMS Belfast in London, the Battleship New Jersey in the US, RAF museums as well as very many non-military types (see the Museums List). The event has proven itself to be extremely popular and well supported special event particularly amongst the UK radio amateur population. It also went down very well at the museums which were used as the venues for the event, and invitations have again been extended for the coming June. It has shown itself to be a tremendous public relations exercise, as well as all of us having lots of fun over the IMW weekends. At least part of the intention for this event, is to present modern amateur radio to members of the public and to help us loose some of the stuffy anorak image. What better place to do this than in the very public and well visited areas of the many museums which can be found in most parts of the world? The club will be running the Bring and Buy sale again this year, we are hoping for another successful rally. The club will have its own stand in the main hall, we will also be running the Construction competition from our stand. Please feel free to pop along for a chat and watch our presentations. 12th April 10.30 am, 10.15 for disabled access. The club will be open on the 20th of March for the eclipse QSO party from 6.30am. The eclipse is predicted to be better than 90% in the north west, it will be total in Svalbard and the Faroe islands. There will be a Super moon the night before, this eclipse is rare in that it will be a super moon with the moon being at its closest point to earth, the equinox and eclipse on the same day. 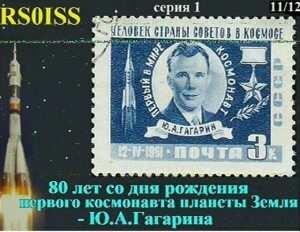 We managed to receive an SSTV image from the ISS today Feb 22nd at Solder Sunday. Welcome to the new WARC web site. We hope your enjoying the new features and are finding your way around. We have kept a similar layout to the old site to aid navigation. There’s a Classifieds ad page for members, the Projects page has been extensively updated with new entries and the older projects have been spruced up. A new Technical section with plenty of interesting Radio and Electronics articles to read, a new Club history section, a visual archive of photographs showing club events, past and present. An updated events calendar in the What’s on section, and a new QSL section that will post live updates from the club log. You will find a new forum, for ease of use we have started it from fresh and not carried over anything from the old one, please feel free to populate it. As with any new project there’s a time when things have to be tested and refined. Some of the features on our new site are in the process of being set up, this includes the Members list, the QSL and logging section and various links and forms throughout the site. Users are encouraged to test the site and provide constructive feedback so we can make the WARC website something members can be proud of.